Top 5 Website Builders - What is The Best Website Builder? Building a whole website from scratch can be an overwhelming task, especially if you are a beginner. Fortunately, nowadays it is easier than ever to build your own website, even if you don’t have any technical skills or programming knowledge. You can get started right away with a website builder. 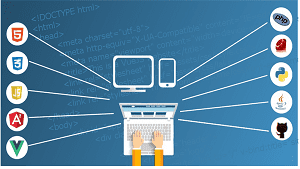 A website builder is a downloadable software package or an accessible online platform you can use to create web pages and blogs and make your own website without editing the code manually. Accessing the best website builder software online tends to be more popular because of its relatively low cost and user-friendly interfaces. Some website software is based on powerful editors like WordPress. It’s always best to go with WYSIWYG (what you see is what you get) editing when you make your own website because this lets you visualize all aspects of your pages during the creation phase, and see exactly what it’ll look like when published. There are many different reasons why someone may want their own website. For example, maybe you are starting a blog to document your travels, favorite fashion trends, or latest recipes. 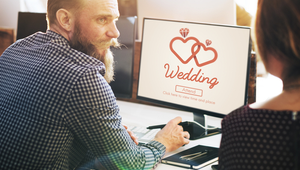 Perhaps you just need a temporary website to announce details for an upcoming special event such as a bar mitzvah, family reunion, or wedding website. Maybe you own a small business and want a website to advertise your services or where customers can even purchase products directly. A website builder can help you achieve all of these things for affordable prices, and sometimes even for free! They are easy to use so you don’t need any experience with coding or design to create a website that is attractive and will help you achieve your goals. The website builders that we recommend tend to be so intuitive that you won’t even need to do a web search for “how to start a blog” or “how to build a photography website.” You’ll easily understand how to accomplish the design you want. Certain website builders are better for e-commerce ventures than others, as they may offer things like secure shopping certificates, inventory management, and the ability to process different payment methods. 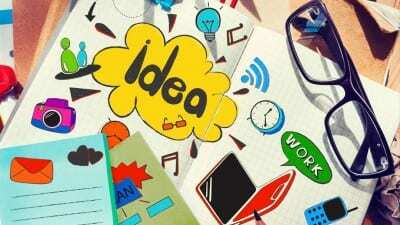 Other site builders may be better suited for blogs and events than e-commerce. Still other categories tend to overlap, as is the case for photography websites, which can be used both for displaying your pictures as well as for booking photography sessions or buying prints of your work. Either way, it’s important to choose the best website builder for the type of website that you want to create. Free or Paid Subscriptions – Which is Better? Price is always an important factor when choosing which is the best website builder software for you, and you will see that the prices vary greatly. When learning how to make your own website, you should test the services each one of the packages includes, how user-friendly their interface is, do they offer 24/7 support, and how customizable their website templates are. Which tools are automatically included with free packages and which require payment? While starting a blog on your website is often an included component with free packages, ecommerce tools are less likely to be included or may be included only in very limited forms without paying for a premium plan first. For instance, when you create a website, the domain name and range of website templates is usually limited with free website builders. Premium website builders offer a variety of marketing tools that will help you boost your site’s online visibility and organic traffic. You should probably not be using a free website builder as it only offers a subdomain, inserting the website software brand’s name as part of your site address– an important aspect if you want to optimize your website for the search engines. When using a free version of any website building tool to create a website, your site will usually display the web building software’s ads. While in some cases they are barely visible, in others they will catch the visitors’ eye, and distract them from your website’s content. Moreover, it is very difficult to monetize using a free tool as you don’t have the option of inserting your own advertising code. One consideration in deciding whether you want to go with a free or paid subscription can be how long you intend your website to be relevant for. For example, if you’re starting a blog, business, or even a photography website, you’re likely thinking long-term and may be more likely to invest a small sum into a paid subscription. If, however, you are making a website for a one-time event, such as a wedding website or a 50th-anniversary website, you may prefer a free plan or taking advantage of a 30-day free trial of a paid plan. The best website builder will provide templates that not only look great on your computer screen but that are also optimized for mobile. Think about it: many people today surf the web from their smartphones or tablets. Have you ever tried to check out a website from your phone and found that the text was incredibly tiny so you’d have to zoom in to read anything? Have you ever tried to make a purchase on such a website, but found your fingers too big and clumsy to navigate product selection and payment processing? Such a website is an example of one that is not optimized for mobile. It can mean losing sales and losing readers. A website that is mobile-friendly, on the other hand, will be easy to read and navigate for visitors accessing it from a smartphone or tablet. If you’re an artist, model, or creating a photography website, mobile optimization will also be of incredible importance to you. Your work is visual, and if people access your website from their phone or tablet and can’t get a good look because of technical issues, you’ll end up missing opportunities for sales, bookings, gallery showings, and more. You’re probably wondering how to start a blog, business site, or general website and ensure that it is mobile-friendly. Using a website builder that has built-in mobile optimization means that you don’t have to do anything special to make your website mobile-friendly — it’s done automatically for you. That’s another big plus of using a website builder to make your own website! DIY online website software tools are a great solution for those who are on a tight budget or not willing to invest too much when they decide to create a website. Some Do-It-Yourself website builder software like Wix and GoDaddy offer impressive galleries of professional web design templates for each and every area of business. These galleries also include templates for different types of blogs, wedding website designs, photography websites, portfolios, and beyond. Moreover, some of these templates are free of charge and easy to customize. Using these website templates as a basis, you can edit your website’s design any time you want, from any computer. Just by using a drag-and-drop editor, you can get a great looking web design that is even more customized than if a designer had built it. 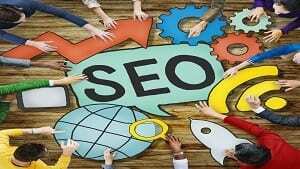 What’s more, your site will be automatically submitted to most search engines like Google, Yahoo, Yandex, and Bing so that you can start getting organic traffic. Most DIY website builders also include easy-to-use SEO tools that enable you to effortlessly add and edit meta titles, descriptions and keywords. All you have to do is type them in and save. You certainly should not discount these great benefits of using web building software. Overall, DIY online builders are the best website builders if you want to save a lot of money and effort since you don’t have to pay for the website’s design and code. When you decide to create a website, we highly recommend using website building software. 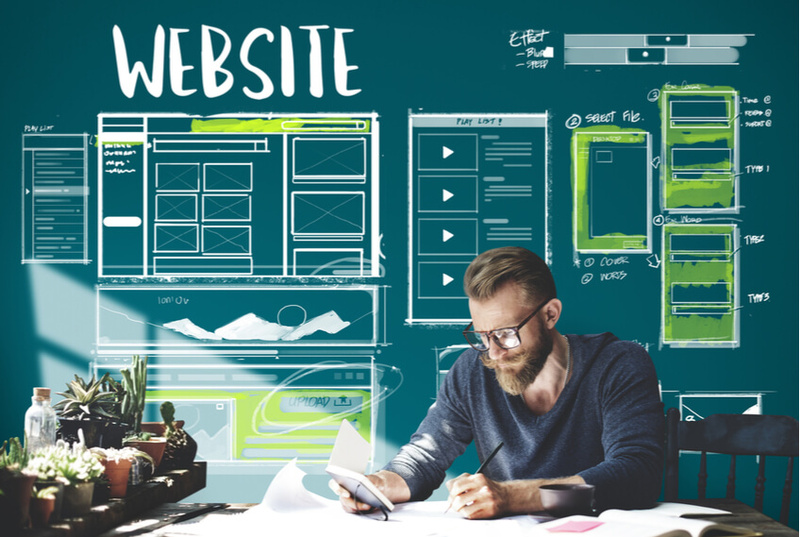 With such a wide range of site building tools and platforms available, however, choosing the right one to make your own website with is no easy task. The best approach to deciding which web building software is the right one for you is to read the reviews and to compare the prices and the services included in the package in order to make an informed decision.